Resident Evil 2 2019 has is one of the highest rated games this year and sold millions of copies. However, Capcom is now selling in-game unlocks as DLC. All of these can be unlocked through normal gameplay. It seems strange to offer, what is essentially a cheat code, as paid DLC. 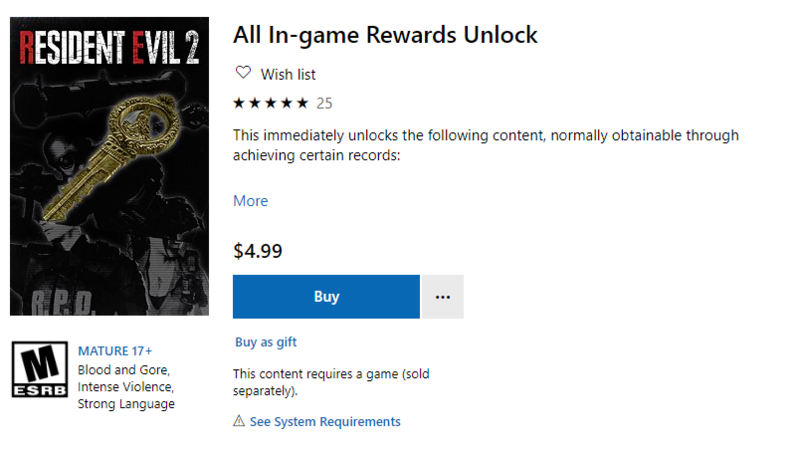 What even more strange is that the DLC is rated 5/5 stars on the Microsoft Store.